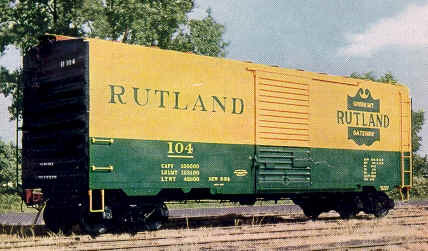 This PS-1 Box Car is part the Rutland Railway's fleet of new equiment. With such rolling stock as this on the "Green Mountain Gateway," shippers and consignees will enjoy even higher levels of Rutland service. And this new PS-1 Box Car will help the Rutland meet the demands of its increasing importance to New England economy.